I have been loving the new DJI Mavic 2 Zoom drone released a few months back. I take it up to the skies whenever I get the chance and I use it for my commercial photography to shoot property. You can see that commercial work over here (link to aerial commercial work). But having a Mavic 2 has taken my photography to a new level, literally 🙂 I can now have a lens in the sky and the it offers me such a fresh perspective as compared to where your own 2 feet can take you. I get asked why I purchased the Mavic 2 Zoom over the Mavic 2 PRO and it comes down to the Zoom camera which can go from 24 to 48mm. For those who are new to the DJI drone market the Mavic 2 was released in the later part of 2018. The 2 drones are EXACTLY the same except for the small camera gimbal that hangs off the front of the Mavic (looking like a little face as it moves around). The Zoom gimbal can actually be taken off and swapped with a PRO gimbal. They both shoot 4k video but the PRO has a larger sensor being a 20MP image and the Zoom has a smaller 12MP sensor. Also as I’ve mentioned the Zoom camera can zoom in and out whilst the PRO camera is always fixed at 24mm. The PRO does have better image quality, especially during the darker hours of the evening. But the pros and cons of each drone need to be weighed up and you need to choose the best one for you. Shooting at 48mm gives a completely different perspective to a 24mm shot and you can’t achieve this change of focal length just moving your drone further away or closer in. If you’ve ever used a zoom lense on your own camera, say a 24-70mm, you would have noticed that the verticals in your image at 24mm are not straight and as you zoom in towards 70mm they begin to straighten up. This particular feature is very valuable in the commercial photography industry because straight verticals are a staple of the architectural photography. You also want to be able to get a variety of angles and perspectives from the air and having an adjustable focal length gives you that extra level of control to create the look your clients need. Last week another photographer buddy and me went out to shoot the sunrise around Circular Quay in Sydney Harbour. This is where you will find the Opera House, the Rocks and of course fantastic views of the Harbour Bridge and city. There was little to no clouds this morning, which my mate is a big fan of, but me not so much haha. I love around 50-60% cloud cover where the sky lights up and looks like it’s on fire, where as he enjoys the nice cool blue at sunrise with no clouds. Its funny how opposite these are! So rather than setup for a sunrise photo on the Opera House using my Sony A7r I decided to make a time lapse video of the boats and water during the sunrise. 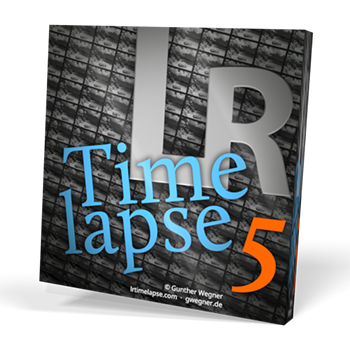 A time lapse video can be done in 2 ways, either you shoot a video and speed it up OR you shoot a photo every few seconds and combine them into a video later. I prefer shooting RAW photos and the time interval varies depending on the effect I want to achieve. With this particular time lapse I shot for 45 minutes and took a photo every 10 seconds. So this was around 270 images to edit into a video. It was just a fun little time lapse to make and highlighted a few features of Sydney Harbour. My workflow is to edit one photo in Adobe Lightroom then apply those settings to the other 269 images so they all have the same “look”. Then I give the images a bit of extra style so I did the same process in Skylum Luminar. 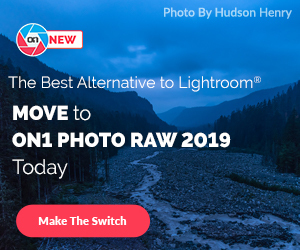 Edit one photo in Luminar and then apply that “look” to the rest of the images using the batch processing feature in Luminar.